THE WIRZ & ASSOCIATES Staff and consulting team includes individuals with backgrounds in sports marketing, market research and private business, as well as extensive professional experience in media, public relations and sports administration fields. BOB WIRZ, President and Founder, was chief spokesman for Major League Baseball Commissioners Bowie Kuhn and Peter Ueberroth for 10 years prior to starting Wirz & Associates in 1985. The previous experience of this life-long sports professional also includes six years as publicity and public relations director for the Kansas City Royals, and a background in newspaper, radio and television. A Nebraska native, Bob used his eight years of newspaper, radio, and television experience to prepare for the professional sports industry. He worked in the news and sports department of The Lincoln Journal and was a member of the sports staff of The Wichita Eagle and The Denver Post. His first professional baseball position was as Public Relations Director of the Denver Bears (Pacific Coast League) in 1967-68. He served the Kansas City Royals from 1969-74 and was Major League Baseball Director of Information from 1974-85. 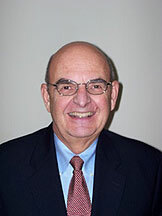 He formed Wirz & Associates (W&A) in the spring of 1985. Bob is a graduate of the University of Nebraska. He and his wife (Maybeth) reside in Stratford, CT and they have four children and five grandchildren. 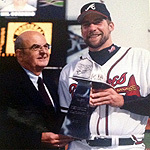 Founder and president Bob Wirz has worked with or met many of the big names in sports...even presidents.